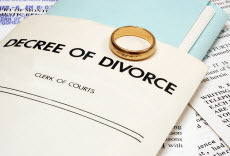 If you are getting a divorce, choose James Appraisal Company to provide a true value of the shared assets. We realize that divorce is a painful process. There are many issues looming, including the status of the shared residence. There are generally two options regarding common real estate - it can be put up for sale and the proceeds divvied up, or one party can "buy out" the other. In either case, one or both parties would be wise to order an appraisal of the joint assets. An appraisal for divorce purposes needs a well-established, expert report that will hold up in court. When you order an appraisal from James Appraisal Company, you are assured the best in service with courtesy and the highest quality appraisal. Through experience and education, we've learned how to care for the prickly needs of a divorce situation. James Appraisal Company can help if you need an appraisal for the purposes of a divorce or other separation of assets. Oklahoma attorneys and accountants depend on our analysis when ascertaining asset values for estates, divorces, or other disputes where it is relevant. We understand their needs and are used to dealing with all parties involved. We create appraisal reports for courts or various agencies that meet or exceed their requirements. As an attorney handling a divorce, your case's evidence typically needs an appraisal to establish market value for the residential real estate involved. A great deal of the time the divorce date can be different from the date you ordered the appraisal. We're accustomed to the processes and what's fundamental to develop a retrospective appraisal that has an effective date and Market Value opinion corresponding to the date of divorce. We work on many divorce appraisals , and we understand that they need to be handled with the utmost care. The Uniform Standards of Professional Appraisal Practice (USPAP) contains an ethics provision which compels us to keep the highest degree of confidentiality, ensuring the utmost discretion.